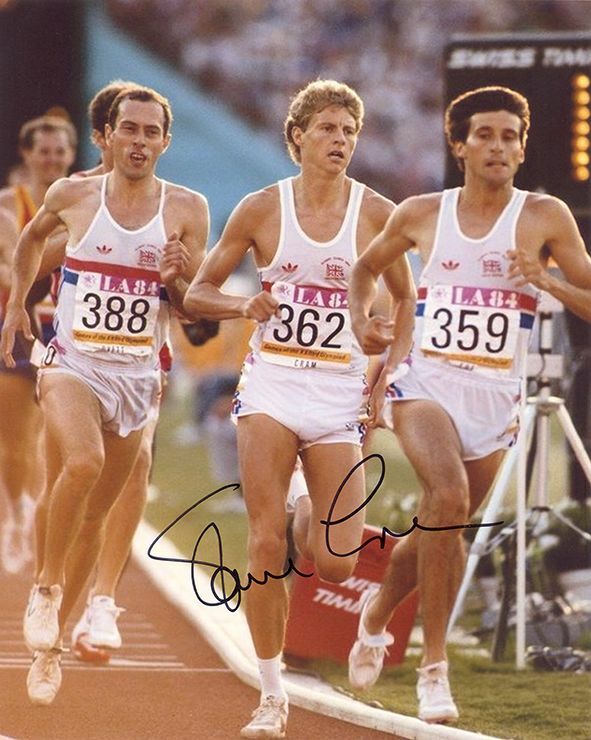 Steve Cram Olympics 1500m signed 10x8 inch photo. 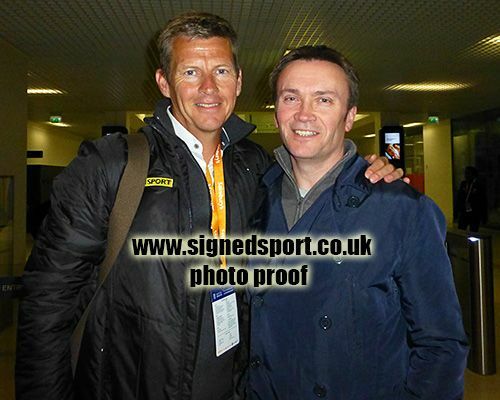 10x8 inch colour photo personally hand-signed in black sharpie pen by British middle-distance running legend, Steve Cram. Along with fellow Britons Sebastian Coe and Steve Ovett, Cram was one of the world's dominant middle distance runners during the 1980's. He set world records in the 1500m, 2000m and the mile during a 19-day period in the summer of 1985. He was the first man to run 1500m under 3 minutes and 30 seconds. He won the 1500m gold medal at the 1983 World Championships and the 1500m silver medal at the 1984 Olympic Games. He also won two gold medals at the European Championships and three gold medals at the Commonwealth Games.